i stayed here for 2 weeks from 1st september 2012 ,i am 14 years old , i really enjoyed myself and didnt want to come home , i went with my mom and we took my friend, the staff were very polite to us and very helpful when it came to us asking where things were etc , when we first arrived the staff at the front desk showd us to the lift which i thought was very helpful , the room was quite small for 3 of us but other than the lack of space it was fine , you only really need to get changed , use the shower/bath and sleep there , the bedding was changed often and the towels were cleaned everyday , you just had to leave them on the floor for the cleaners , we were on the 12th floor and were worried about the noise , the noise wasnt really bad , it was quite loud but bearable you just have to turn the aircon on and shut the door and you can't hear it , we were in the old bit , it was fairy nice , i would recommend going down to breakfast quite early as you have to wait a while for the lift, the slides were fantastic i was entertained all day long by the fantastic animation team - kristina and kris, who do a very tiring job, i became very good friends with them , they are lovely people and treat everybody equally, they always had time for you and they always made the effort to speak, i done zumba every morning with kristina that is very worth doing and learning the dances as i still do them now and there very good, they did alot of activities like darts a cocktail game , zumba , shuffle board , water polo and lots more, i miss them alot and hope to go back in 2013 , i also met a lovely little boy who was 1 and a half his name was bozhko , i loved him to bits , he was extremely cute , he came from the hotel just next door where his parents owned the massage thing , i miss all my friends i met there especially kristina, kris and bozhko , i hope to see them next year but bozhko i know i wont see again :( , the food is very simple , but we only had breakfast , to eat out is very cheap and very nice , i would reccomend going to the hawaii it does amazing deals and lovely pizza , i am normally quite a fussy eater but i found alot of food i liked there , the jupiter steak house is also very nice and great for kids , they have a nintendo wii challlange and a quiz on a saturday and i think a thursday night , i cryed my eyes out when we had to leave the kuban , i would live there if i could but im afraid i cant and i had to come back very upset, the aimation team i still speak to and still get upset , i miss them millions and their always there for me if i need them , kristina taught me some bulgarian when i was there i enjoyed that alot because now i know how to say quite a few things :D , i would reccomend this hotel to anyone as i really enjoyed myself and hope to go back to the kuban . I have been to Sunny Beach before, so I knew where the hotel was and roughly what to expect. I stayed at the Kuban this time with my daughter. The laundry was changed regularly but the dust built up over the two weeks. The food was typical hotel food - plenty of choice. The staff were not the friendliest apart from The 'Animation Staff' and the 'Bar One' staff - they were always very friendly and approachable. The 'Turkish Bath' that was advertised turned out to be a spa with a steam room, plunge pool and a sauna. I went to the kuban in 2007 i loved it, the bad bit was the nightclub under the hotel but other then that it was great the staf were helpfull and always served with a smile on there face manager was helpfull if anything went missing or some one fell over and the holtel room was small but cosey met some good friends there who i still emails to, There was 17 people with us in our family and we all enjoyed it going back in 2010. YEPPPY!!!!!!!! well to start off i thought the hotel was very good, apart from its right in the centre of all the nightclubs which played LOUD music until 5/6am? we went as a big family, 17 in total and our rooms were all pretty near to each other which was a good thing, there were 7 children in total and the pool was really good, the slides were fun and made the pool much more fun, we didnt have to pay as hotel kuban were giving us special wristbands as we stayed at their hotel which was good! ..
the reception area was very nice, we only had breakfast but that was very good, lots of choice. the only bad thing was ENTERTAINMENT!!! there was plenty for 18-30 year olds, but absoultley NOTHING for kids, we were VERY bored most nights! and often had to..
and im not a fussy eater, another thing was the language barrier, i reckon the whole time i was there, only one person spoke any decent english, i mean its not equiped for british at-all sunnybeach was okay, but 2 weeks was long enough. the aquapark in nessebar was aamazing! definatley got to go there,i recommend the 'khans tent' trip. that was reaaaaally good too. & a trip to nessebar on the sea taxi is recommended also! the shops are all pretty boring once youve seen them. and thats about it i think? i enjoyed the holiday, simply cos i got to see all my family:)! ive just come back from sunny beach and the Kuban hotel. Wont be going back mainly due to the fact that its smack bang in the middle of all night clubs and bars that are so loud we had to change rooms. 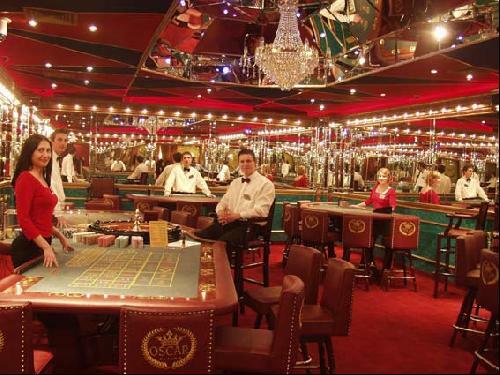 this resort suits young couples and groups of mates looking to get wasted every night very cheaply. as a family with small children, we were sold this as a family friendly plce, and we didnt find this here. the beach is pleasent but always very packed. the hotel was ok, we stayed in the old part which somewhat needs some work doing to it, and the food was below average and mainly catered for the germans. Although the pool was great, many people hurt themselves on sharp corners. this resort realises that many europeans are happy to pay over the odds for stuff, so we did find everything to be a bit more expensive then home.. which was annoying as we had to scrimp and save for the week. highlights were definalty the off road safari and khans tent. Brilliant! This was one of the best hotels i visited. Loved it when i was young. Went back in 2004. Can you fix it?Yes we can. It was a great holiday. I really enjoyed it. the hotel kuban has no air condition, you have to pay for the sunloungers and umberellas.you also have to pay for the slides as well.the rooms are very basic and not much space in them.i wont be going back to that hotel again. the rest of the holiday was great food was good drink is cheap cigarettes very cheap as well. hiya im going 2 cuban hotel this year on the 1st july to 15th july 2007.
and i wanted to know if there is going to be any fit boys going to be there at that time? awww so ya blankin me na eh?..?? r ya guna gi or ! OI..!! LUKE AM NOT A MUCKI BBZ U LUVED EVERY MINUTE OF FRIDAY N8 LUV U MILZ HAHA..!! 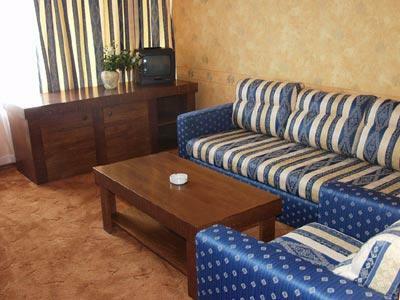 i stayed in hotel kuban in July 2006, i did not enjoy the food at all! the hotel itself was clean but it was very noisy in the night as the nightclubs are very load! i would not advise this hotel for a family with children!!! 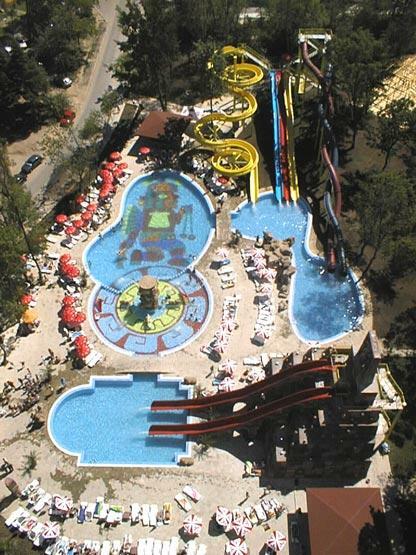 Hia i went to Kuban on 6th July 2006 it was the best holiday i have ever had it was amazin the slides were ace!!! a would love to go again the lifeguard anton was lovely n gorgus lv it ldz!!!! this hotel is very noisy,as there is a disco in it. the chutes r very dangerous& the place is full of prozzies and its full of the Russian mafia??? I was wondering wot like Sunny Beach is as I was at Elenite and my family and I loved it? went to sunny beahc on july 1th 2006 but stayed in globus hotel goin bk next year bt stayin in kuban hotel as it luked gorgeus n sum of the irish lads we met frm disco xl (rite outside the kuban) wer stayin there n it wa nice cnt wiat to go bk in august 2007 wi the girls !! This has got to be the rudest and worst hotel i have ever stayed in. The staff were so rude especially towards the english people. 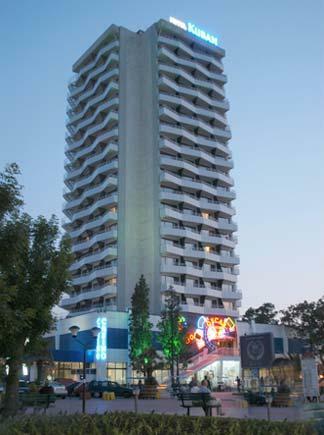 on our recent trip to sunny beach,we could`nt help but admire the Kuban Hotel.we decided then that we were coming back to stay in the beautiful hotel.thank you,see you soon. I was in Bulgaria in 2003 in |Nesebar in a private house, but when i go to Sunny Beach i was so supprise the all the hotel were number 1 Especialy I saw the Kuban hotel and i like it a lot. I give 10 to Sunny beach. This summer I like to go in S. B. to some of the hotels. See you soon.